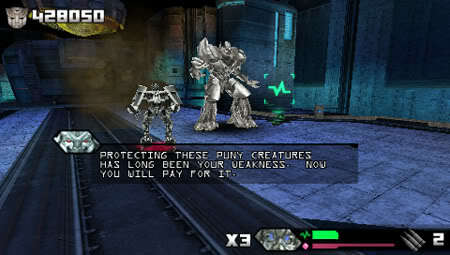 After the first Transformers movie, I played the first installment of the PSP game and that does not live to my expectation and I gave up after 2 stages. I simply did not enjoy the game. When the latest transformers movie game released on PSP again, I decided to give it a try. Somehow this game seems better than the previous. Revenge of the Fallen game is more action pack like the movie. You get to between Autobot and Decepticons with more choices of character than the previous game. 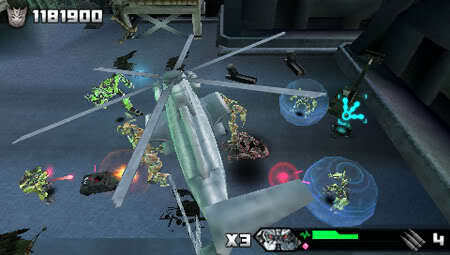 The game in 3D allow you to roam around to shoot on anything that move. There are plenty of Autobots and Decepticons for you to shoot. Remember Revenge is a dish that best served cold. If you think Optimus Prime in the movie is cool to face off with 3 Decepticons, you get to do more than Optimus Prime. Wave a upon wave the enemy will come to you. 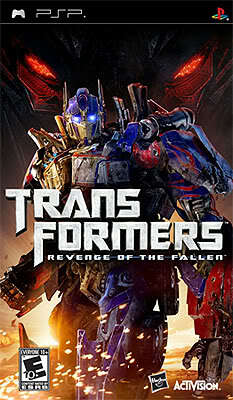 If you choose to be a Decepticon, you will face a harder time as not only Autobots are coming for you, the human too! Nonetheless if you collect enough "pink energy cubes", you can use your special skill against them. Each character has different special moves but sadly only some are really useful. Unlike the previous game, you can't transform yourself at will. The only time you transform in the game is when you use your special skill and that happen for a few second. At certain stages, you get into racing and shooting in the vehicle mode. The game could be rather long and boring with all the shooting. The only thing that I am happy about the game is not graphic as it's look very edgy but the voicing. 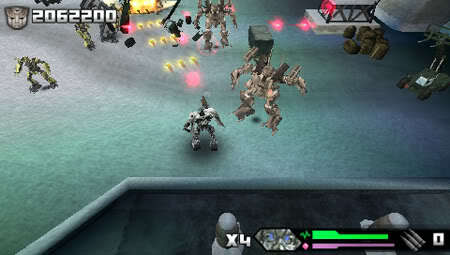 All in all, the tactic in this game is to shoot, dodge, collect weapons upgrades and activate special power. The controls and camera view can be frustrating at time but none is more frustrating to meet the Megatron and even you are winning, he got away. That drag the stories and you have to go through more similar stages to fight him all over again. In short, the stages setting are rather Repetitive. Wow! Really a lot of robots in the rumble! Enjoy dude! Yes Dennis, it is like year end clearance sales but the game play is repeative. I really love the movie you know.. but playing games.. I'm totally aout hehehee.. I completed all the stages for Autobots' mission. But I am stuck in Stage 3 of the Decepticon mission. The autobots keep on coming out from nowhere and those big robots can end your character's life within few punches. There was one time I eliminated all the obstacles which was requested in the mission but didn't manage to hang around that area longer and died in the end. Haiz...wasted my effort!! No luck!! The only thing which I don't like the ROTF version is our robot character cannot transform to vehicle mode whenever we want. Only robot mode all the way..Quite bored!! Good to hear that you love the movie. What actually do you love about the movie? The actions? Like I say, Decepticon faces a hard time. However you may want to choose the gunship robot...I can't recall the name. it start with a G, replacement of Blackout. What you need to do is get as many pink energy as possible to activate the special (left button). Only use it when you lure the enemies to one area. Don't keep shooting. Run! Run and lure as many as possible and when you see them in bulk, activate your special and you kill them all leaving you lot of goodies and hopefully they will be enough pink energy cube for you to activate the same special when the time arrive. All other special beside the Left button is USELESS. That is why i hate the game. PC and xbox 360 is better. At least the graphic and 3D walking is more entertaining. Good luck bro! desmond, for decepticon stages, I personally prefer the "blackout" gunship's left button special. That special attack of him will KILL everyone near him instantly leaving the spoils. All you need is enough pink energy cubes. Thanks for your advice..Decepticons, attack!! !